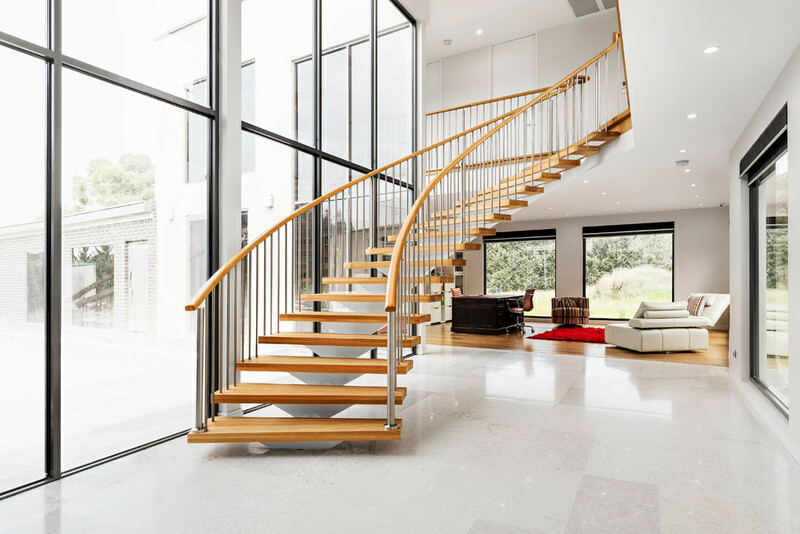 Contemporary stairs do not follow any one particular style. 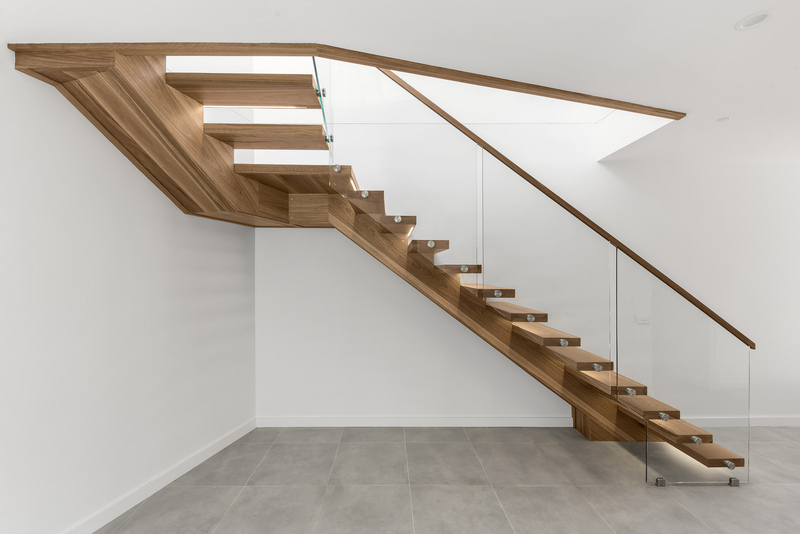 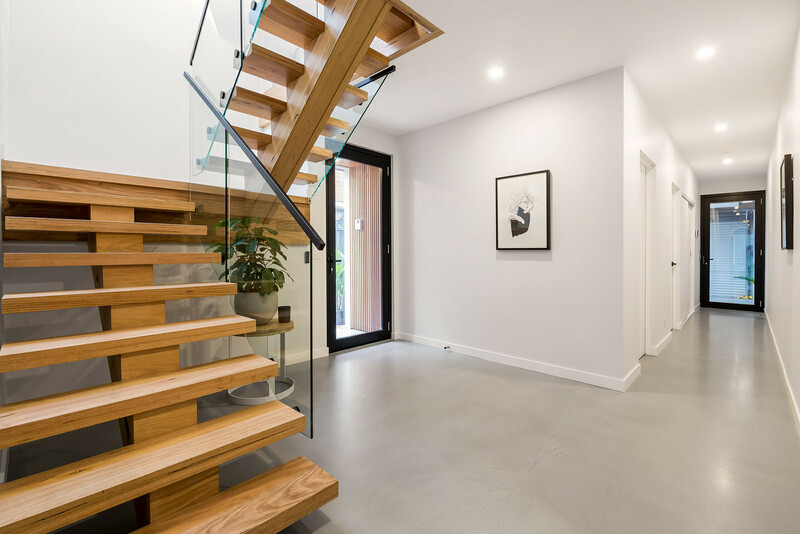 It is rather the choice of materials and using them in new and unexpected ways that are defining features of a contemporary stair. 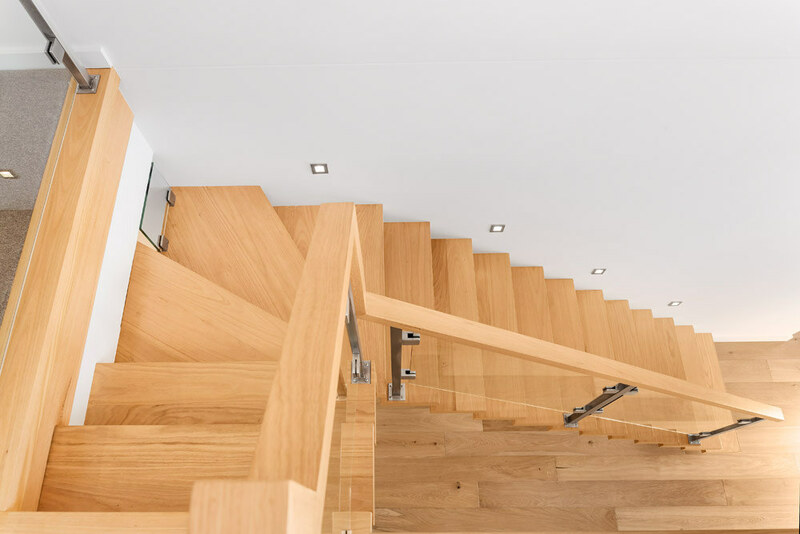 At Signature Stairs we design and manufacture all our stairs right here in Melbourne and for that reason, we can deliver a custom made contemporary stair that is sculptural, playful and unique and awe-inspiring in its complexity.Popular materials currently being used in high-end, luxury homes include hardwoods as well as reclaimed and engineered timber and steel, coupled with balustrades made of timber, glass, steel or wire – or a combination of these. 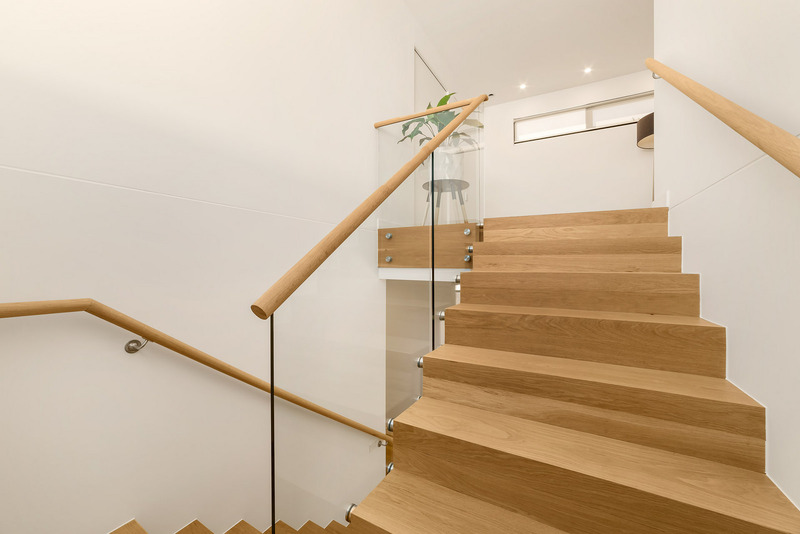 The height of banisters can also radically change the look of a staircase. 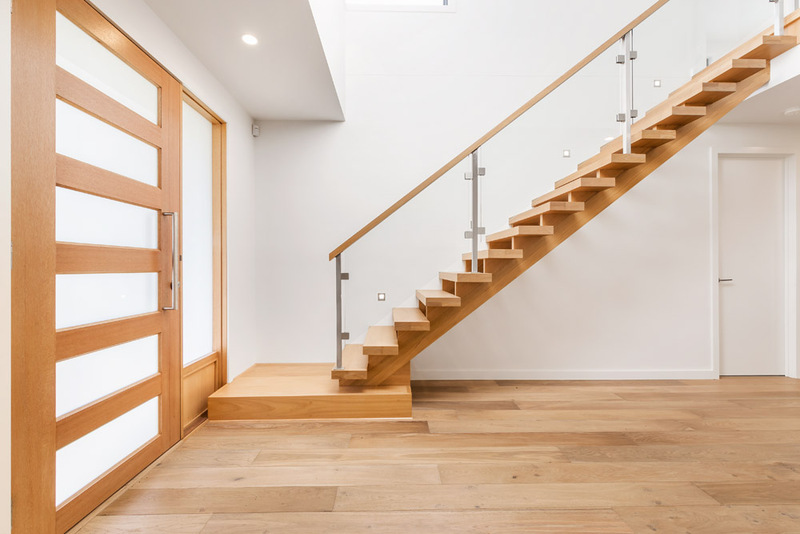 By playing with changes in direction, a simple boxed stair can appear to straddle the wall, a reversed cantilever design (where the treads hang out from the wall unsupported) is a new take on a traditional design, and a large boxed landing step literally provides a launch pad from which a self-supporting stair soars towards the upper floor.It is the combination of a designer who can think outside the square, coupled with the precision craftsmanship of an experienced staircase manufacturer like Signature Stairs, that creates a truly individual stair which goes beyond the merely functional and becomes a focal point within the space.